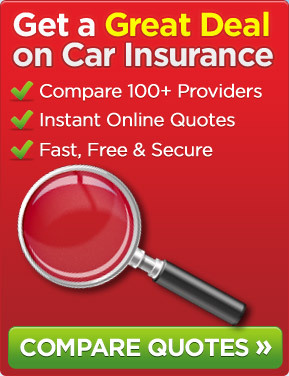 ← Why Take Out Comprehensive Car Insurance? Not wishing to upset the female fraternity any further especially after the recent introduction of car insurance premium rises as a result of the EU gender directive that came into force on 21st December 2012 but a recent survey has revealed that, on average, single ladies are paying more for their car insurance than married ladies. The survey was carried out on behalf of Confused.com/Towers Watson and showed that, on average, single women are paying £435 per annum more than their married counterparts. However, the news is not all bad for ladies with average premiums reducing by 9.2 per cent in 2012. The group that suffered most were single ladies who were the only ones on the insurance policy in the 17 to 20 age bracket. They saw car insurance premiums rocket by 17.1 per cent in the final quarter of 2012. The average amount paid was £2,081 per annum. Married ladies saw an increase of 4.8 per cent. In the age bracket of 21 to 25 single ladies were faced with rises of 8.6 per cent whilst married women saw their premiums drop by 1.5 per cent. When insured with their spouse, women drivers are paying under half of what a single female driver is being charged – the average premium for a lady motorist that is jointly insured with their spouse is £406 per annum compared with £841 per annum. On the face of it, this may seem a little unfair. After all, what difference does being married or not make to your driving ability? Well, it could be argued that, if you are single and feel you have to drive your car even though you are very tired you are more at risk of being involved in an accident than if you were married. This is because the married lady may be in a position to ask her spouse to drive the car instead. A message to all you single ladies: We are not for one minute suggesting that you find a husband but if you are already married then you may wish to compare the cost of your spouse being on your policy with not being so and, if it is cheaper, consider adding him. Shop around. This entry was posted in News and tagged car insurance, Car Insurance Premiums, EU Gender Ruling. Bookmark the permalink.